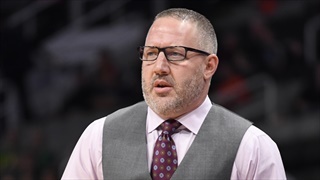 Buzz Williams landed his first commitments at Texas A&M with pledges from Cashius McNeilly, Quenton Jackson, Andre Gordon and Emanuel Miller. Logan Lee takes a look at the four additions plus some other possible roster additions. Cedar Hill Trinity Christian PF Tyreek Smith signed his letter of intent to play basketball at Texas A&M yesterday. 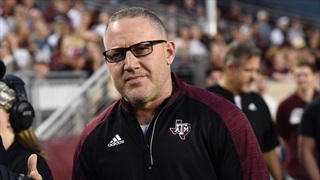 Afterward he spoke with TexAgs about making everything official, the Texas A&M signing class, his goals, and more as he prepares for his time in College Station. 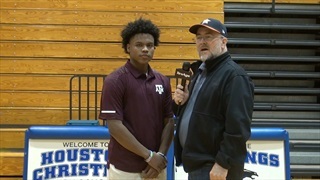 2019 PG commit Sahvir Wheeler had been verbally committed to Texas A&M for two years, but today, he put pen to paper to make it official. Wheeler discussed his upbringing, his relationship with the staff, and the improvements in his game moving forward. 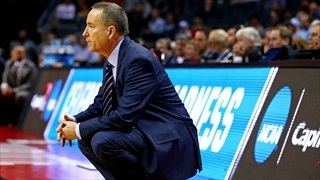 2019 point guard Sahvir Wheeler has been committed to the Aggies for nearly two years and after his visit last weekend, he is confident the A&M basketball team will have a bright future. 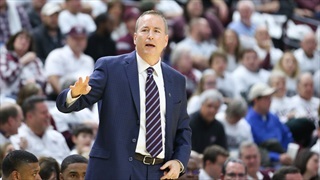 Billy Kennedy and the Texas A&M basketball program received a shot in the arm Wednesday when 4-star power forward Tyreek Smith pledged to play for the Aggies. Smith is a top-15 player in Texas and becomes the third commitment in the 2019 class. 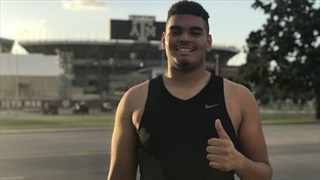 After wrapping up a full day of football and basketball in College Station, elite 2021 OL Rueben Fatheree sat down with Jason Howell to discuss his latest visit to Aggieland. The two sport standout already holds an offer from Jimbo Fisher and company and likes what he sees in the future at A&M. Brandon Mahan signed with Texas A&M out of Chipola College earlier this week, and he plays a position of need for the Aggies. 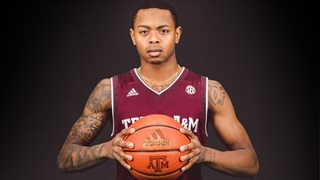 His shooting prowess should allow A&M to spread the floor, and he'll be valuable as a scoring threat. 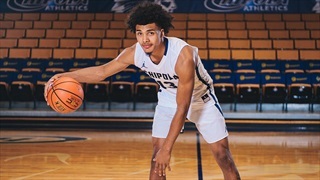 On Wednesday the Aggies added another junior college player, this time inking Chipola College (FL) guard Brandon Mahan. 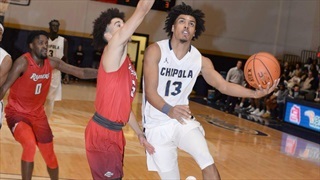 Originally from Birmingham, Mahan averaged 14 points per game and was a 50 percent three-point shooter in his one season at Chipola. 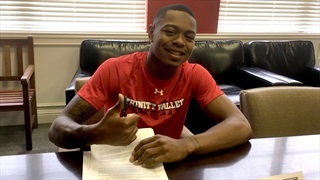 Trinity Valley C.C. 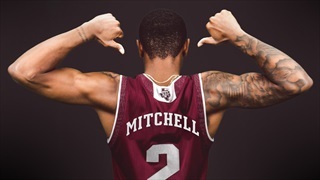 guard Wendell Mitchell committed to Texas A&M earlier this week and wrapped up his recruitment by signing with the Aggies shortly thereafter. He catches up with David Sandhop to discuss his road to College Station and what he brings to the table for Billy Kennedy's team. With the departure of DJ Hogg to the professional ranks, Texas A&M needed another threat along the perimeter heading into the 2019 season. Enter Wendell Mitchell, one of the top JUCO players in the nation. With the departure of D.J. 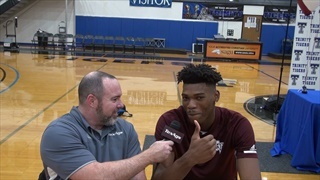 Hogg, Texas A&M Men's Basketball needed to fill a hole on the perimeter, and the Aggie staff did that in a big way on Tuesday, securing a commitment from the countries top JUCO guard, Wendell Mitchell.